The fish and wildlife in California can not speak for themselves. If they could give accolades to individuals who helped in their never ending struggle for survival they would award Lt Hodges with the Highest possible achievement award. They truly had a true champion working tirelessly for them. I was lucky to work for and alongside him. His stories bring forth the often misunderstood role of the warden in California. In California Fish and Wildlife Protection has had to evolve into a modern professional force capable of thwarting crimes of even the most cunning destroyers of fish and wildlife. 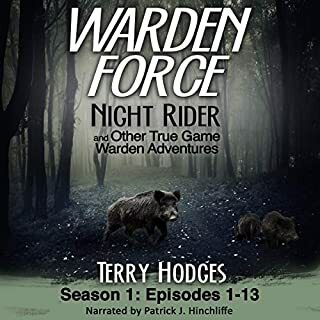 Lt Hodges books bring the reader/listener into the world of a warden in an easy to understand narrative and lets them experience the adventure,fear, and euphoria of solving crimes against fish and wildlife. Those people who read one story inevitably read the rest of his books.